Don’t Tell Me That It’s Over | Ramblings of a girl who just wants to write. Ramblings of a girl who just wants to write. Curious. It’s an intriguing word. It forms the name of one of my favourite albums Curiouser. 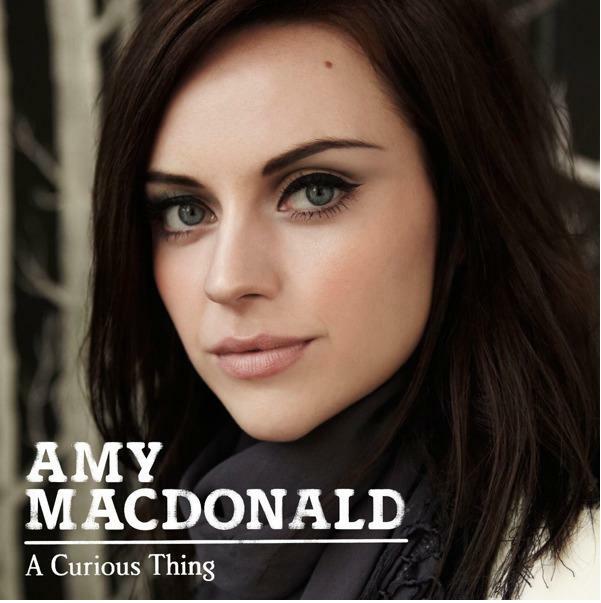 When you combine this with the fact that I loved Amy Macdonald’s debut album This Is The Life, you’d correctly be able to assume that I was excited to listen to this album. Fame has also been a theme that runs through Amy’s songs. On her debut you had the likes of LA, Poison Prince and Footballers Wife (the latter being, perhaps, a tad ironic given that she is now engaged to a footballer, albeit a Falkirk player!) A Curious Thing offers songs in a similar vain with This Pretty Thing being my personal favourite. “I don’t care if it’s YSL / I don’t care if it’s Chanel”. Simple words. But a clear message. And as I couldn’t care less about the clothes of the righteous ‘celebrity’ I enjoy to hear them being ranted about in a musical format. Similarly, An Ordinary Life speaks of fame once more. I’ve heard somewhere that it was written about seeing Gerard Butler being mobbed at a premiere and how fame can overwhelm you. Whether this is true is yet to be seen (LA was fiercely rumoured to be about Jake Gyllenhaal before this was later denied), but I love the song. Next Big Thing is guitary and has a fast pace. Amy can sing at the speed I talk out. Which, for those of you who don’t know me, is very quick. Catchy chorus, verses take a few listens for you to embrace them but after the number of times I’ve listened to it you learn to love it in it’s entirety. The narrative sticks to the third person storytelling thing which has worked up to now so Amy (or her record company) clearly saw no reason to make any sweeping changes lyrically. The first single Don’t Tell Me That It’s Over has more electro background sounds than previous material. The Scottish accent is immediately present and shines particularly strongly in the chorus. Love Love also sees the accent being very strong. Saying this, the accent is part of Amy’s charm and so can be heard in every song that leaves her vocal chords. I guess it’s a bit of a marmite thing. Love it or hate it. It doesn’t bother me either way. I get the impression it doesn’t massively bother Amy either. She doesn’t through herself out in the media. She sings because she wants to. And so I’d guess that she sings what she wants, how she wants. What Happiness Means To Me starts off slowly. It also ends slowly. It takes a while to get into – You can’t exactly singalong to it. Aided by the second half of the song being completely instrumental you get some time to sit back and appreciate the music. It’s not conventional. But it works. Speed is also not of the essence in Troubled Soul, however the chorus maintains a slightly faster beat and I am very capable of singing along to it. The lyrics to Spark really hit you. The chorus is really catchy and full of metaphors. And I can’t help but love a good use of metaphor. In fact, the whole song is basically an extended metaphor. I love it. Your Time Will Come is less metaphorical and slightly more to the point. But equally pleasant. Also featured on the album are No Roots, My Only One and Give It All Up. Personally, I find these to be the weakest tracks, but none are offensive to my ears. All in all, I really like the album. Amy’s voice does appear to have matured, as has her songwriting ability. Highly recommended. Ramblings of less than 140 characters. Want Me In Your Inbox Everyday?